Our clinic is accredited by the American Animal Hospitals Association. Our clinic upholds the highest standard of care. We work with cats and dogs to keep them happy and healthy. We offer a wide array of services for your pet! Want your pet looking and feeling their best? Grooming services are available to keep your pet looking amazing and feeling refreshed. We love hearing from our patients! Our clinic appreciates any feedback and referrals that you provide to us! Encino Park Veterinary Clinic is a well-established, full-service, small animal veterinary hospital providing comprehensive medical, surgical and dental care. We provide a broad spectrum of diagnostic procedures through in-house testing and the use of external laboratories. We also work closely with local practices when special diagnostic procedures are required. The facility includes a well-stocked pharmacy, in-hospital surgery suite, in-house x-ray capabilities, a closely supervised hospitalization area, and indoor boarding kennels with outdoor walking areas. 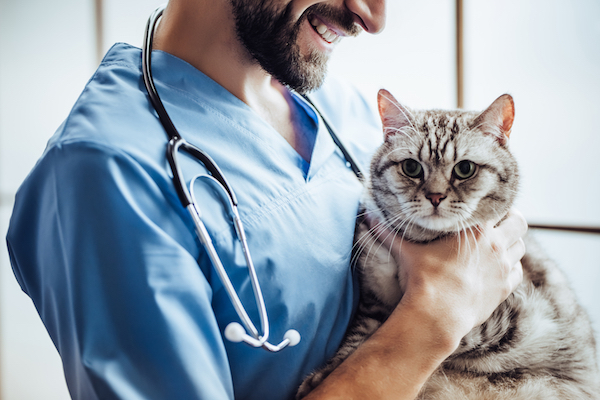 You’ve heard it many times – your pet should see a veterinarian at least once a year for a preventive health visit or an annual wellness exam. Pet’s such as cats and dogs are both affected by common allergens that may go unnoticed by owners. It’s time for us to be the sobering voice of reason and remind you of the dangers to our pets posed by the holiday season.